The UCLG policy councils are the mechanisms that nurture and shape the Organization's political priorities. In the framework of the UCLG Culture Summit and as part of the Executive Bureau, they hosted political meetings focusing on the role of culture as the fourth pillar of sustainable development. The Policy Council on the Right to the City, Opportunities for All and Safer and Resilient Cities hosted political debates with the objective of feeding the political discussions of the organization with specific themes that allow us to show and broaden the work that cities are carrying out. 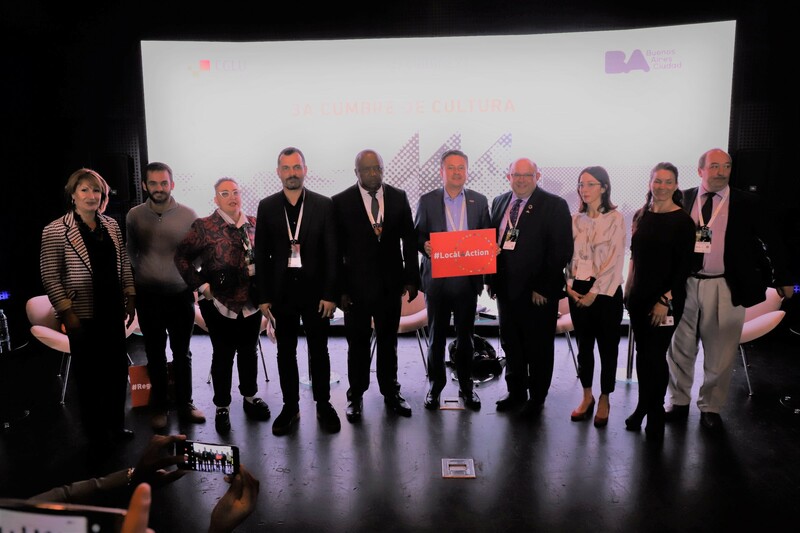 The dialogue hosted by the Policy Council on the Right to the City, "Implementing cultural rights in the city”, had the participation of Mayors Berry Vrbanovic, of Kitchener and Álvaro Ortiz, from the Municipality of Concepción. Beyond the Mayors, participants included the Director of Cultural Promotion of Buenos Aires Mora Scillamá; Juan Maquieyra, President of the Housing Institute of Buenos Aires; the Director of Culture of Montevideo Mariana Percovich; the Secretary of Culture of Sao Paulo Alexandre de Almedia Youssef; and Johanne Bouchard, of the Observatory of Diversity and Cultural Rights of the United Nations. The session highlighted that there are rights that have yet to be realised in many cities - such as cultural rights or accessibility - but also newly adopted and emerging rights, as well as those obstacles that make it difficult for cities to offer for the full realisation of their citizens to the right to culture. 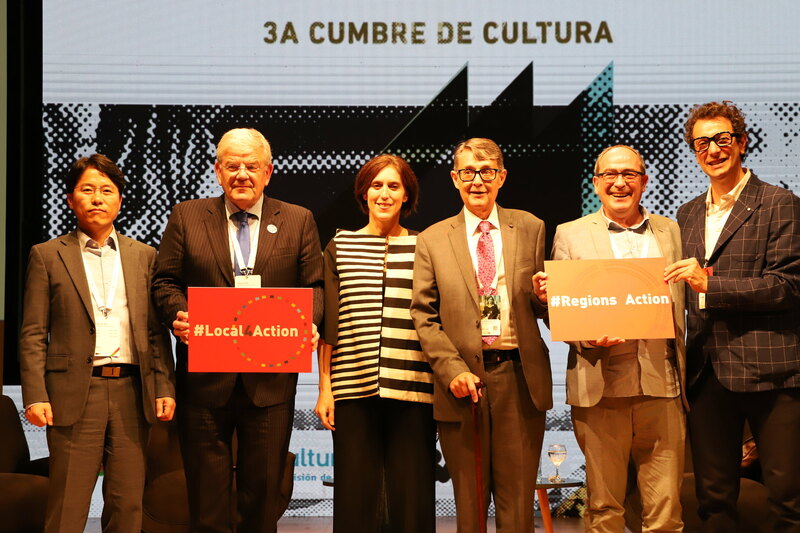 "Access to culture is a right of all city dwellers; it is also a condition and an engine of local democracy and peaceful coexistence, and constitutes the fourth pillar of sustainable development", Berry Vrbanovic, Mayor of Kitchener, and UCLG Treasurer. Mariana Percovich, Director of Culture of Montevideo, introduced the need to integrate feminism "as a way of looking at cultural policy: not only from the point of view of the art, the technical, and the political, but as a mechanism that allows us to channel all these views". "It is necessary to speak to the States to guarantee the necessary resources. Without the necessary means, it will not be possible to implement the global agendas from the perspective of cultural rights" Léandre Nzué, Mayor of Libreville. The session hosted by the Policy Council of Safer, Resilient and Sustainable Cities, "Experimenting with Creativity in Public Space", aimed to identify what solutions have been applied around cultural issues in public spaces. The experience of local leaders and technicians such as Hamid Isfahanizadeh, Director of the International Scientific Cooperation Office of the City of Mashhad; Clara Muzzio, Undersecretary of Pedestrian Roads of the City of Buenos Aires; and Chen Yini, Vice-President of the Municipal Consultative Political Conference of the Chinese People of Guangzhou, as well as UCLG's Committee on Culture expert Antoine Guibert was key to identify how to integrate culture in the reconstruction and resilience of their neighbourhoods and cities. "What do we mean by public space? Sometimes spaces are not entirely public, there are social barriers that prevent or hinder access to culture and public access, and this is what we must address" Antoine Guibert, Expert of UCLG's Committee on Culture. "Our micro-construction process in Yong Qinfang focused on maintaining tradition and fostering modernity, with the aim of renewing infrastructures while preserving the memories of the city." Chen Yini, Vice President of the Guangzhou Municipal Consultative Conference on Chinese People's Policy. "It is essential to reconcile culture and nature through the historical and urban landscape. In Mexico, forests are synonymous with peace, and this is why we must safeguard the diversity and urban lung that are the forests in the city" José Alfonso Suárez del Real, Secretary of Culture of Mexico City. The rest of the participants of the discussion were Felipe Llamas, Chief of Cabinet of the Mayor of Madrid, representing Manuela Carmena, and Iñaki López, Director of Culture of Bilbao, representing Juan Mari Aburto, Mayor of Bilbao. 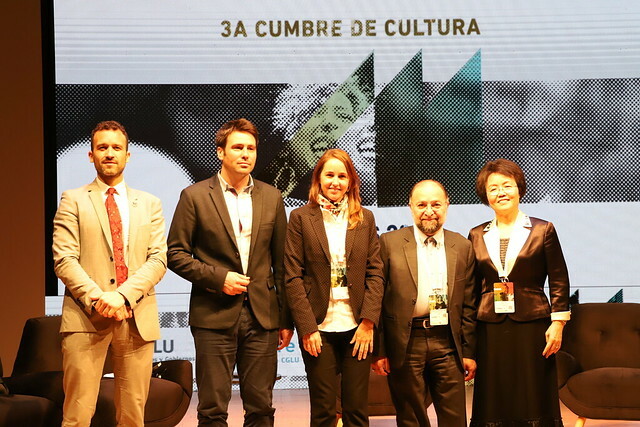 The Secretary of Culture of Mexico City, José Alfonso Suárez del Real, the Director of the Museum of Modern Art of Buenos Aires, Victoria Noorthoorn, and the Director General of Culture, Sports and International Affairs of the Special Autonomous Province of Jeju, Cho Sangbum. The debate also addressed the role of local governments in the inclusion of young people. Culture is, in this sense, a tool for citizenship, which is essential to ensure the inclusion of actors who feel abandoned, and to ensure social cohesion and peaceful societies. Read more about the UCLG Culture Summit here.